Indy has been through many adventures. Plenty enough to be able to make his own iron throne. 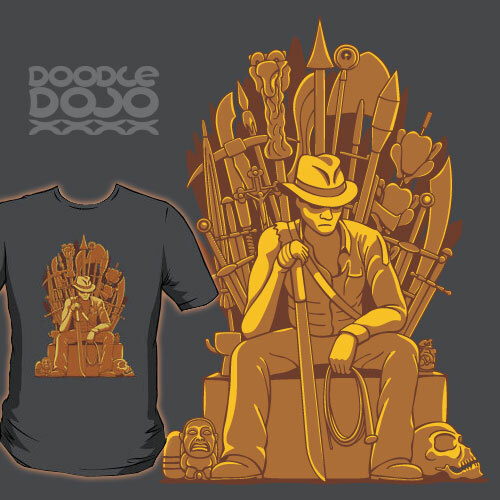 Inspired by Game of Thrones and including artefacts and weapons from all of the Indiana Jones movies.